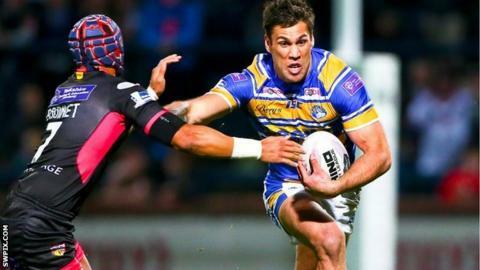 Leeds Rhinos centre Joel Moon has signed a new deal to extend his stay until the end of the 2018 season. The 25-year-old Australian, who joined the Headingley side from Salford in 2012, has made 40 appearances for the Rhinos in all competitions. "The club have been great to me and my family and that has been key for me," he told the club website. "Things have gone better than I could ever have imagined when I first made the move here."